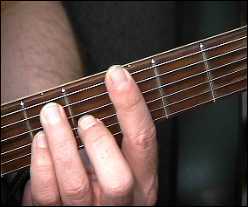 Michael: You have C (I), D, E, F (IV), G (V), A, B now these same notes can be played on the lower strings. 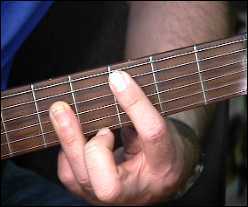 Here's the notes on the lower strings. 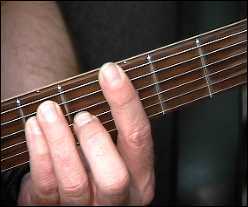 Michael: That's the C and C sus4 (suspended 4 chord), just add the little finger to the C.
Michael: Here's the F and F sus4, but is actually fingered a F7 sus4. 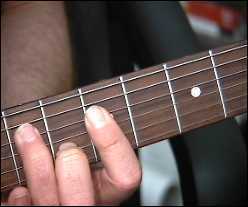 I fingerpick the chords, which helps to leave out the b7 note. 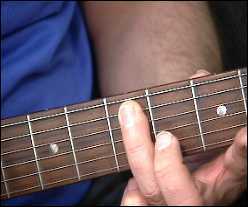 ECid: Does Keith Richards finger pick? 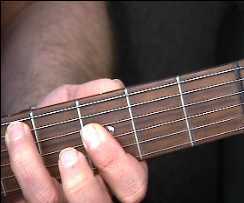 Michael: In this pattern you play the major chord then slide from the Maj 2nd -> Maj 3rd note off each chord and play a portion of the 5 chord (root, 5). Make sure you're playing over the jam track. 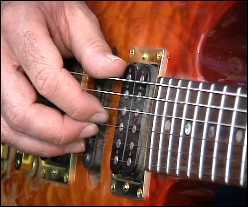 That's where the real magic is for playing these lines!!! 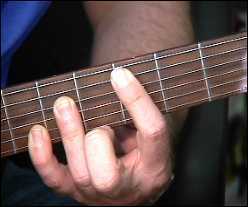 Michael: Notice how the slide and fingerings set up the pattern. Simple, but very effective! 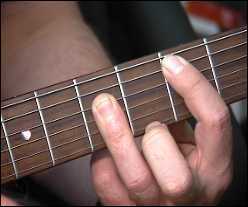 Have any of you played these kind of rhythm patterns before? Here's our next rhythm pattern. 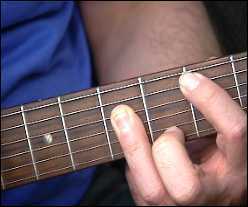 Michael: Notice I play the slide/chord inversion pattern (C), then play F sus4, then back to the first rhythm patterns. 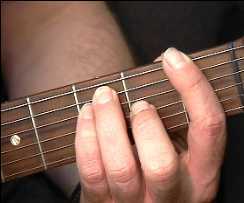 Michael: The second pattern is me playing the I (C) and C sus4, then IV (F) with the slide/chord inversion pattern, then back to all suspended chords for the rest of the progression. 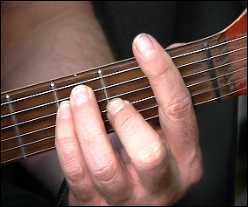 See if finger picking will help change your sound. 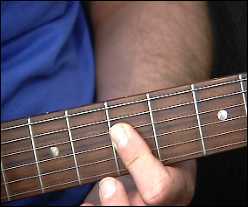 We'll continue more of this lesson next lesson and add more lead patterns between the chords.